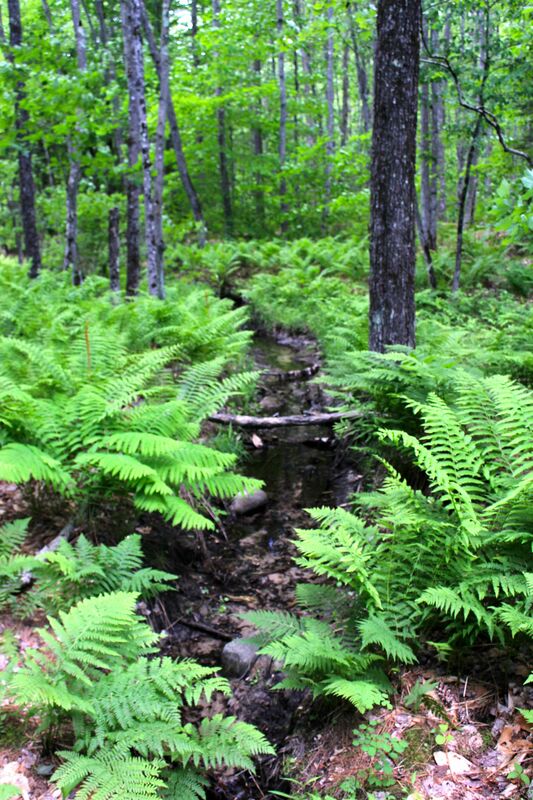 For most of my life, I didn’t pay attention to ferns. If anything, I waged a battle against them, trying like heck to yank their hairy or scaly rhizomes out of the ground. 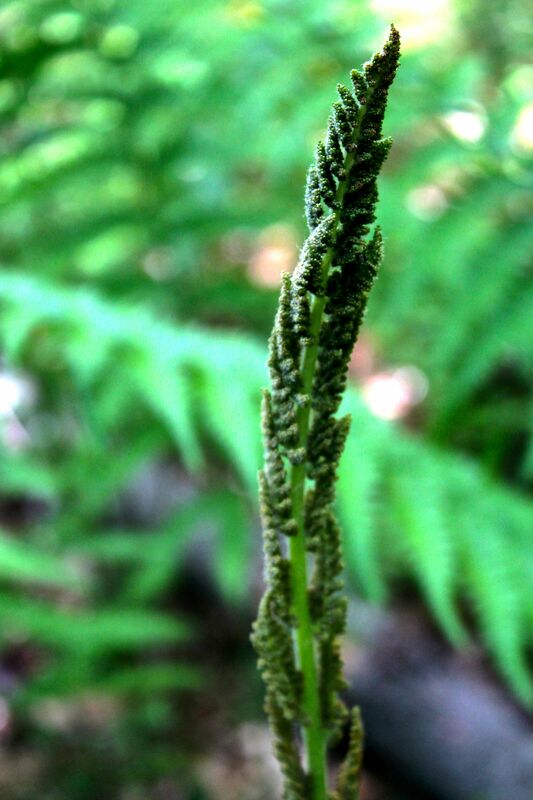 Fossil records show that ferns pre-date wildflowers. Our present-day species are relatives of those ancient plants, which may have been as tall as trees. Their stunning beauty stands out in the landscape. With a little practice, I begin to recognize their nuances. 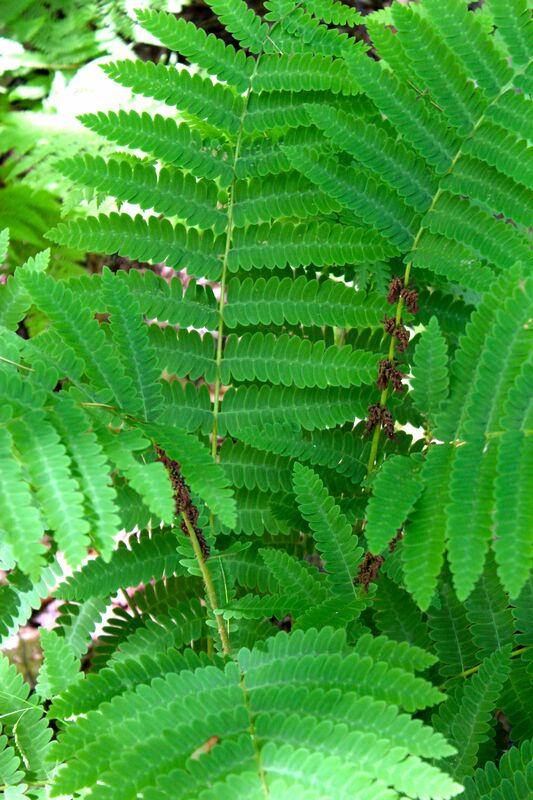 The royal fern family, Osmundaceae, features large sporangia making them easy to identify. And they prefer moist to wet growing conditions. 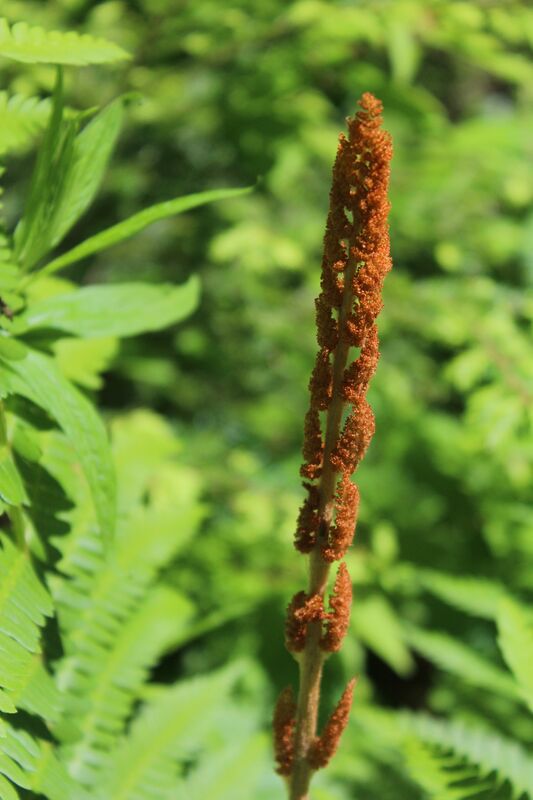 The Cinnamon Fern (Osmunda cinnamomea) that was in crosier form a few weeks ago, has fully developed. Those whitish hairs have turned a bit rusty colored along the stipe or stalk of each frond. Life is complex. (If my sons were to read this, they’d remind me that once again, I’m stating the obvious.) 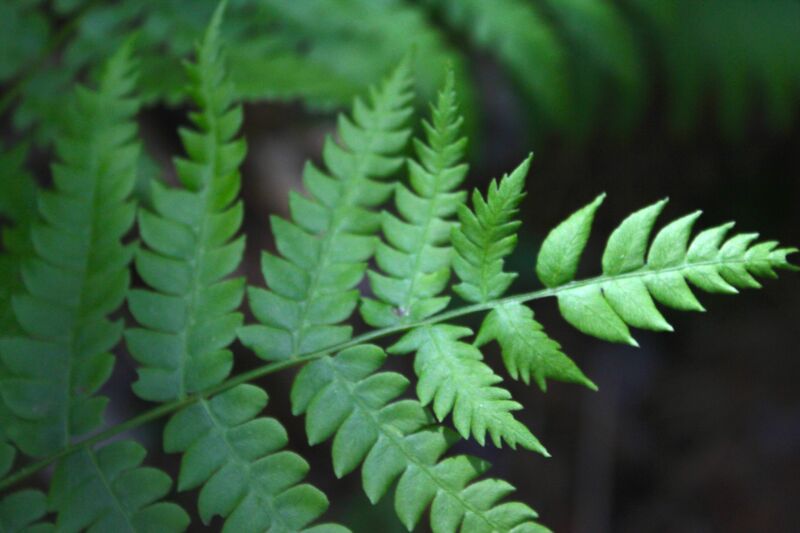 In the case of the ferns, the complexity comes from their life cycle. Unlike wildflowers, they don’t have blossoms and pollen for reproduction. Instead, they must release spores into the air. 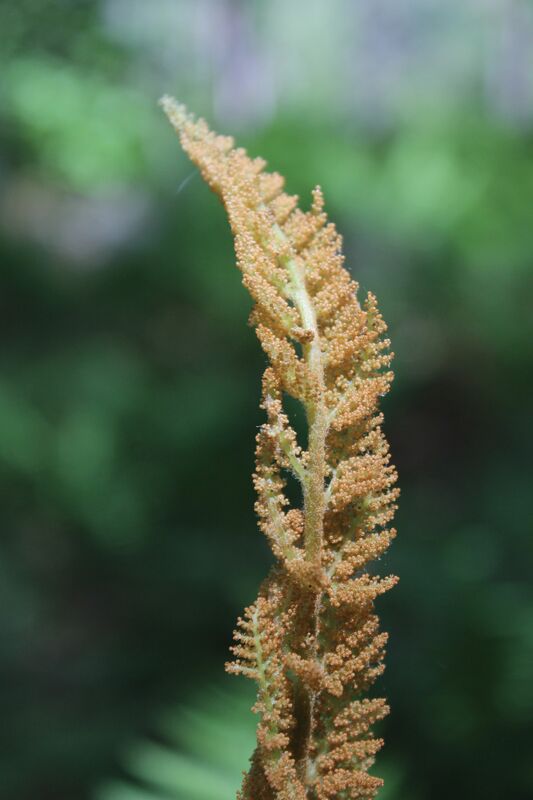 On some ferns, the sorus (a bunch of spore cases), occur on the underside of the leaves or fronds. 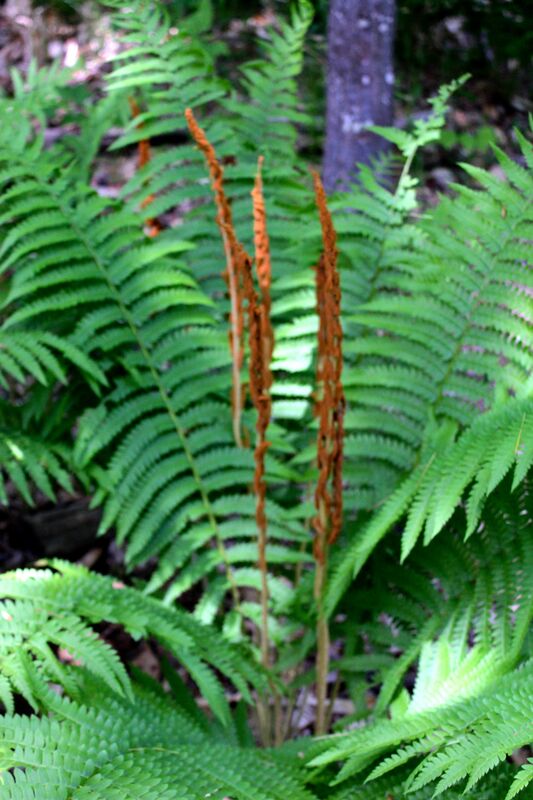 Others, such as Cinnamon Ferns, produce separate leafless spore-bearing stalks, aka fertile fronds. Right now is the time to see them. 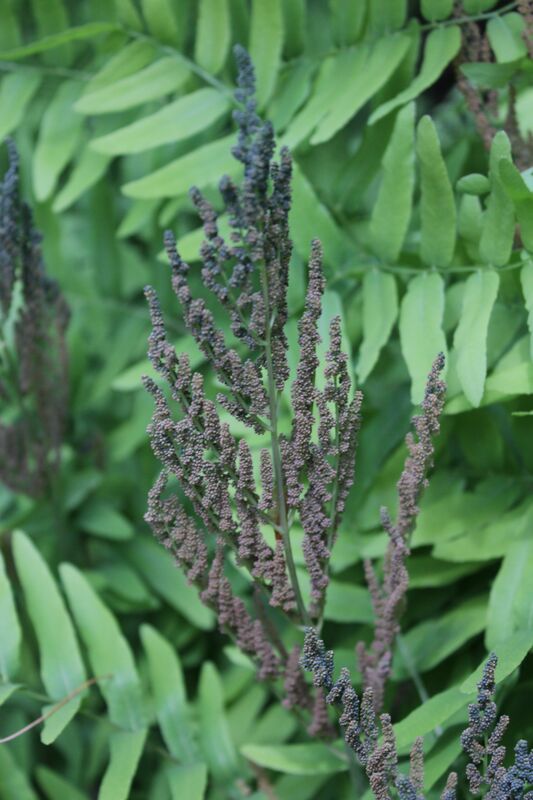 Fresh fertile Cinnamon Fern fronds (try to say that five times fast) begin with a greenish-blue tinge. With maturity comes the cinnamon color for which they are named. Once a spore lands on suitable ground, it will germinate, and develop into a teeny, tiny, heart-shaped prothallus, which will carry out the sexual phase of the life cycle. Eventually, if all goes according to plan, the plant will emerge from the prothallus and the crosiers will develop into fronds. Just as tree leaves are different, so are fronds. 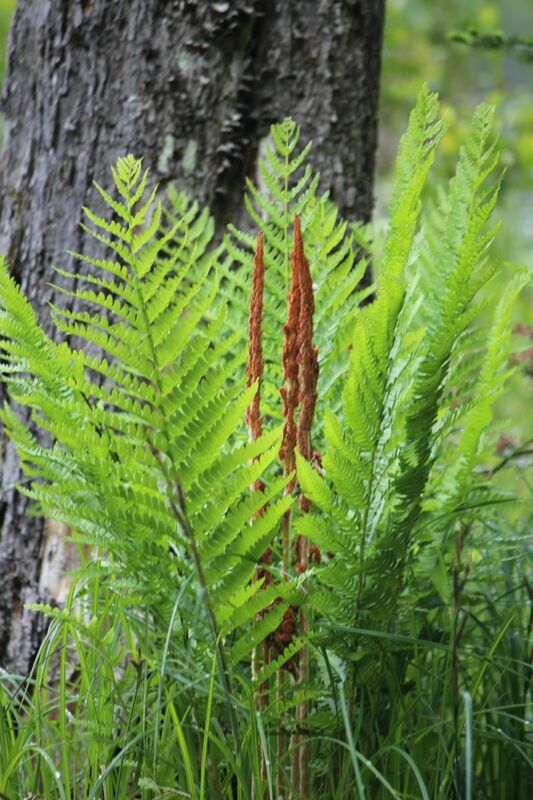 In the case of the Cinnamon Fern, the ends taper to a point. 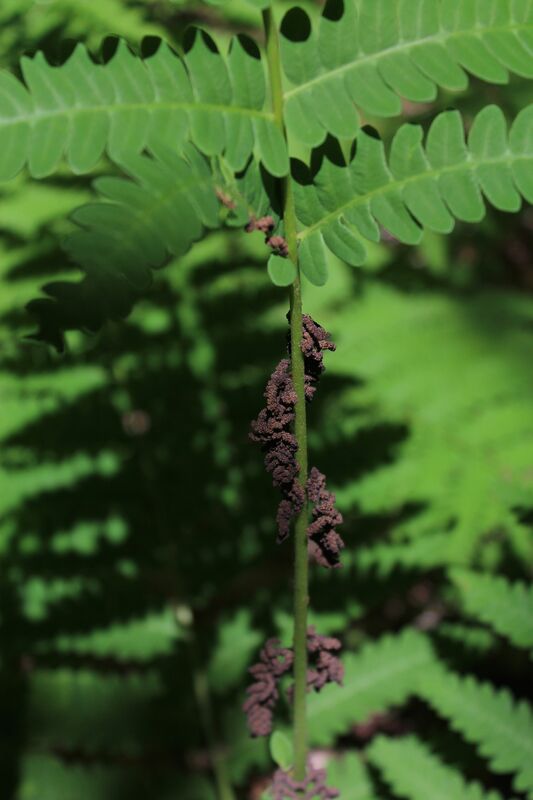 A look alike of the Cinnamon Fern is the Interrupted Ferns (Osmunda claytoniana). Well . . . almost. They have blunter ends. 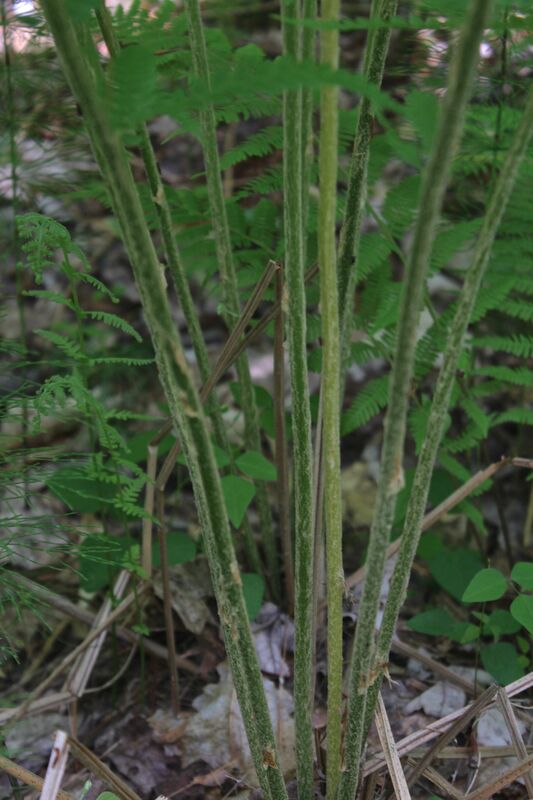 And on fertile fronds of the Interrupted Fern, the small brown pinnae or leaflets that contain the sporangia, interrupt the growth of the other pinnae along the stem. 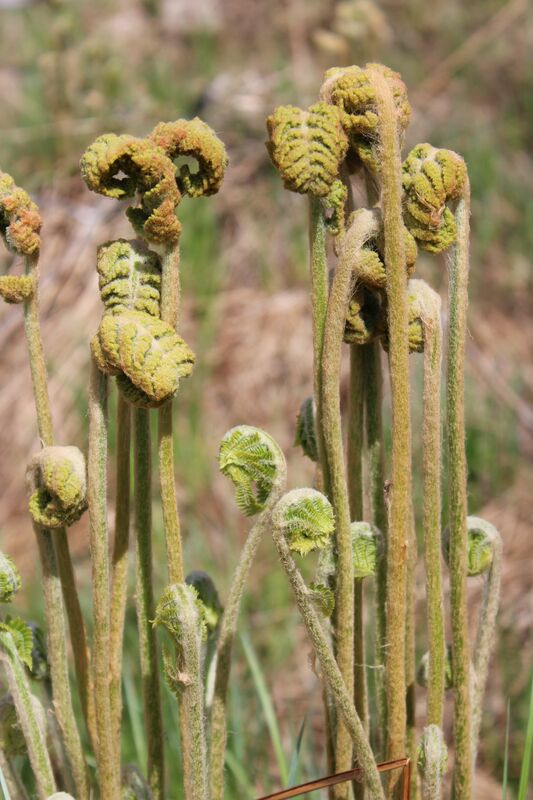 If the plant produces fertile fronds, they occur toward its center, while sterile fronds form an outer ring. 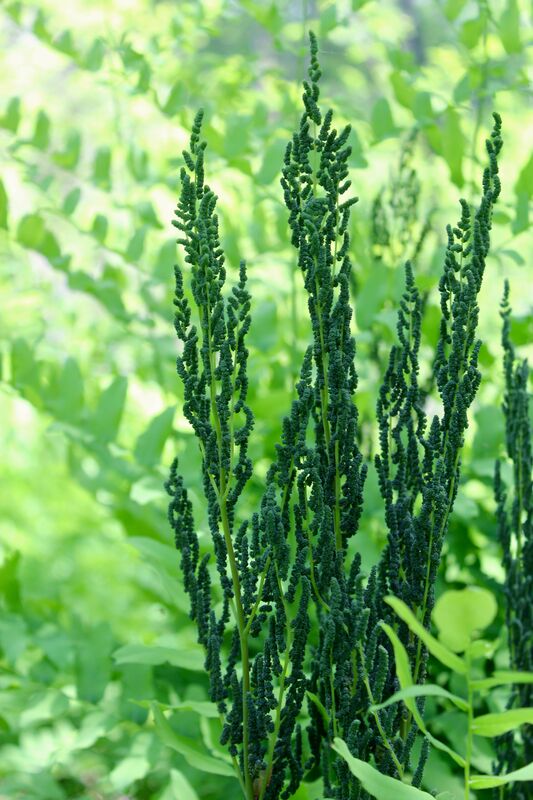 The third member of the family is the Royal Fern (Osmunda regalia). 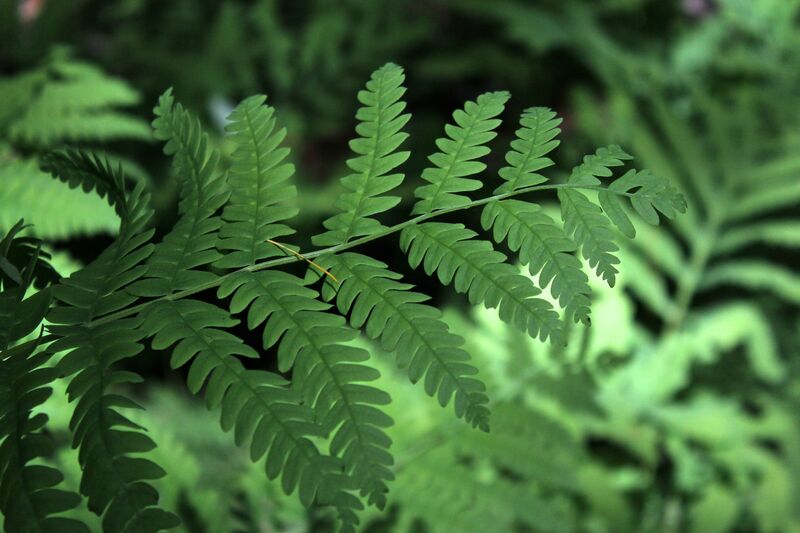 The leaves of the Royal Fern are distinct and look like those on a locust tree. 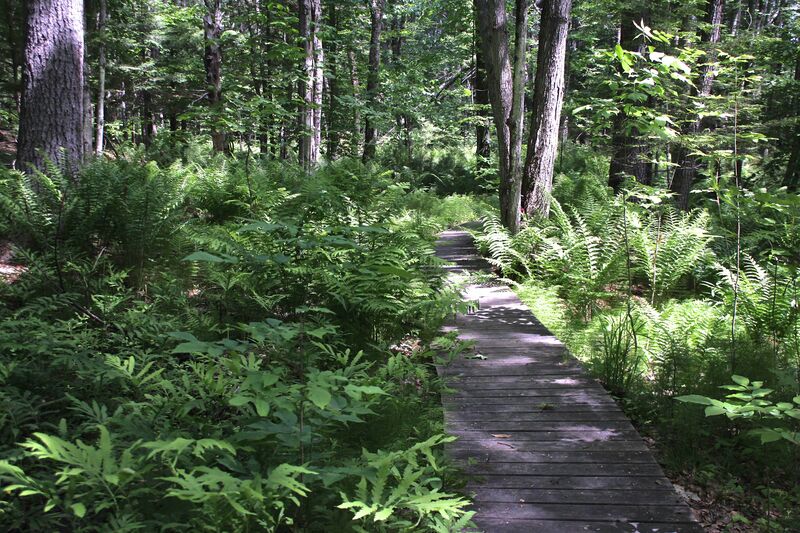 As with all of these ferns, it’s important that they produce masses of sporangia, because only a few will actually survive. After the spores are released, they’ll turn from teal to light brown. 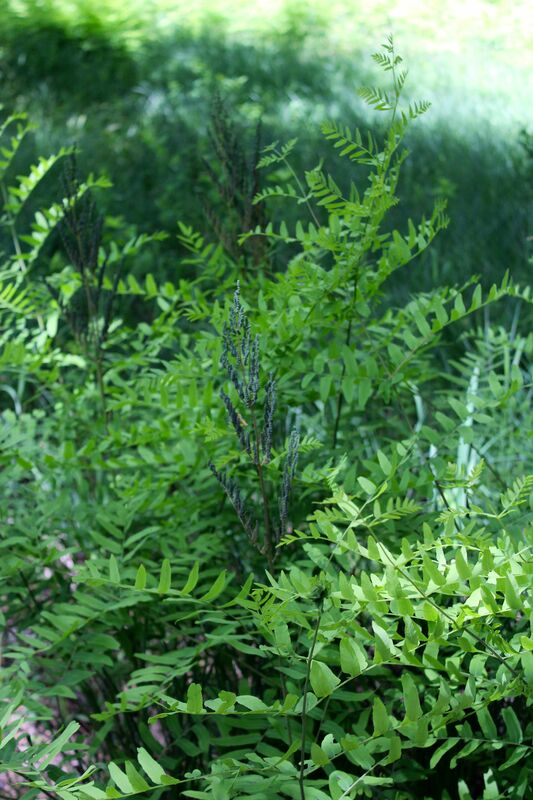 One way to remember the name, Royal Fern, is that the fertile part occurs at the tip, resembling a crown on a king or queen. 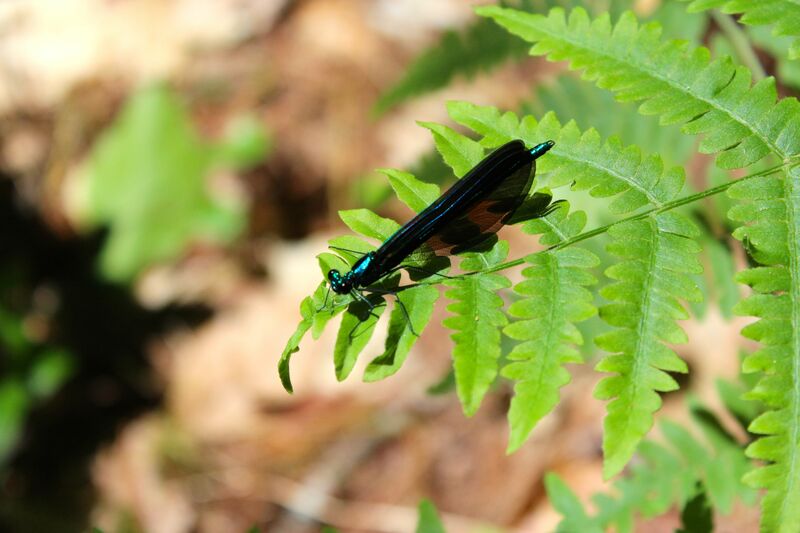 The day was topped off with a view of an Ebony Jewelwing. I’m thankful for moments spent ambling among the crown jewels of these ancient plants. < Previous What Would Jinny Mae See? It’s like stepping into another world. Never realized there were so many ferns. Remember the little hike to the Fairy Table when we were kids?